A 'Splendid Table' Set With Mama Stamberg's Relish In yet another installment of a long-standing NPR tradition, Susan Stamberg sneaks her (in)famous family recipe for cranberry relish on the air. This year, she talks to Lynne Rossetto Kasper, host of The Splendid Table — who isn't fooled for a second. 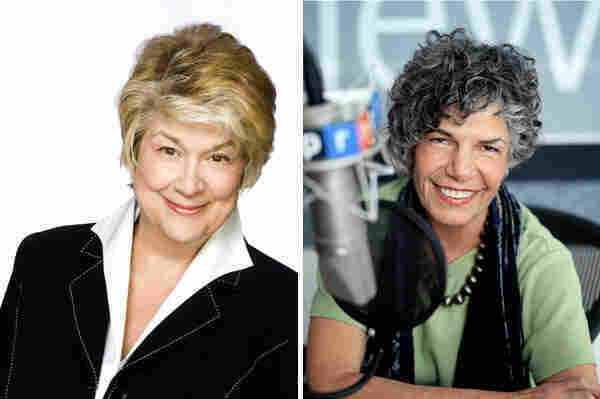 Lynne Rossetto Kasper, host of The Splendid Table (left) wasn't fooled by Susan Stamberg's attempt to play "Stump the Cook" with the ingredients for her (in)famous cranberry relish recipe. "You call in with five things that you have in your fridge, and I have to come up with a dish that you would actually want to make," she explains. From an energy drink, tofu, apple butter, smoked trout and jalapenos, Kasper recommended a smoked trout bastardized version of a pâté. Easy! So! Let's play Stump the Cook: What if, hypothetically, someone just happened to have on hand at home: some raw cranberries, a small onion, some sour cream and some sugar. What would you do? "Well, considering that there is the famous Susan Stamberg cranberries ... " Kasper says, in addition to raw cranberries, a small onion, sour cream and sugar, "I would be throwing in a ton of garlic, I'd be sautéing the you-know-what out of the garlic and the onions ... 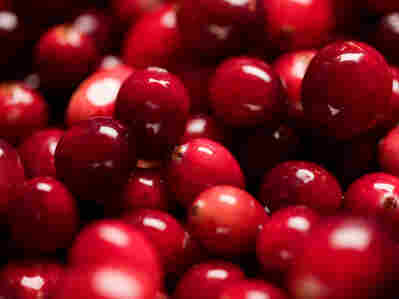 I'd throw in those raw cranberries and the sugar. Then, I would add a lot of fresh ginger, and I would add a whack of chili to this." 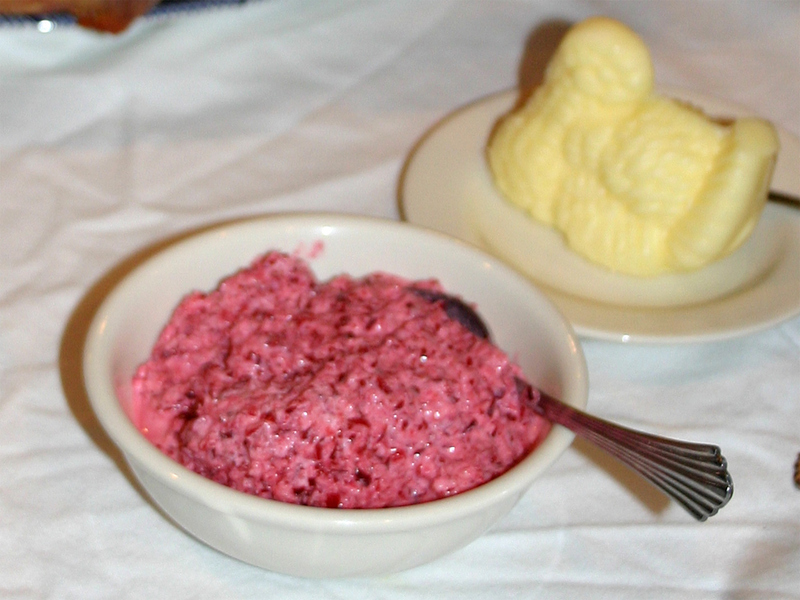 Then Kasper says she'd cook it until the cranberries were ruby red and the sauce felt nice and lush. And her serving suggestion? "Serve this as like a little taste at the beginning of the meal in espresso cups with a dollop of sour cream. You don't want it folded in, you'll lose the impact — you want each thing to stand out and salute to you." It sounds fantastic, but we're missing the signature, secret ingredient: horseradish. Kasper is unfazed. "If you want to add horseradish, you add horseradish," she says.